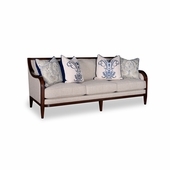 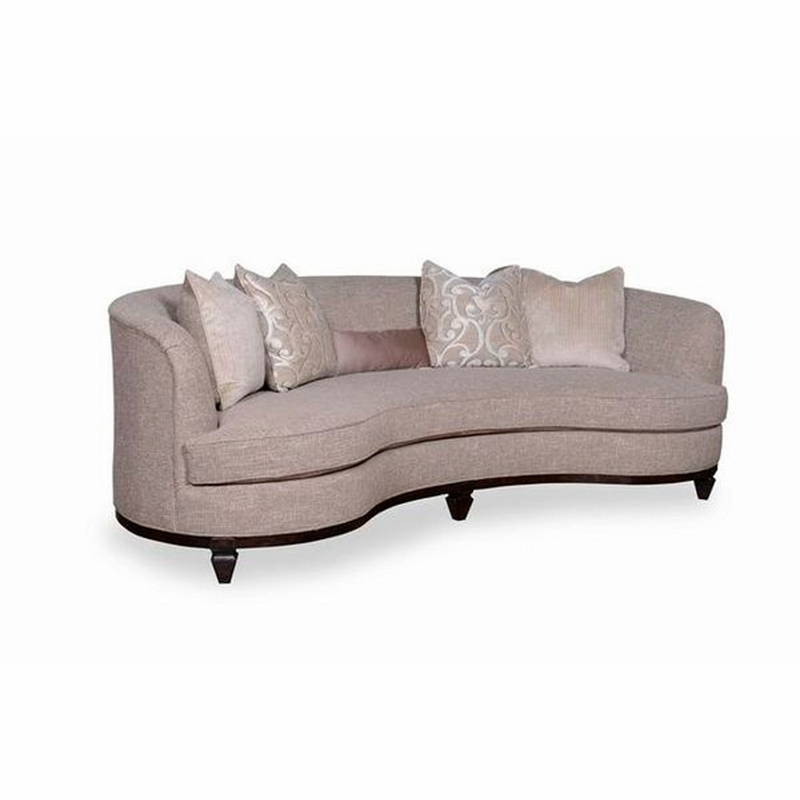 The elegant and modern Blair Fawn 84� kidney shaped sofa makes a lasting impression and achieves the same look at the 101" sofa in a smaller space. 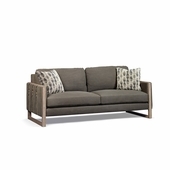 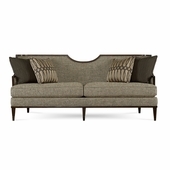 The fluid shape sits on a shaped brindle finish base accented with tapered wood legs. 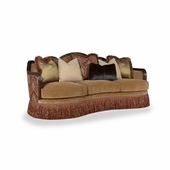 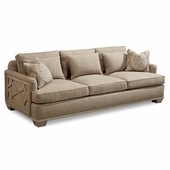 The sofa is shown in fawn color textured fabric and is accented with a dramatic scroll pattern and plush strie chenille. 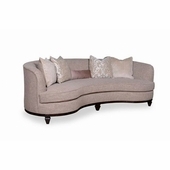 The Blair Fawn collection includes 100� sofa, 84� sofa, curved accent chair, wood frame accent chair, skirted accent chair with a waterfall skirt and round cocktail ottoman. 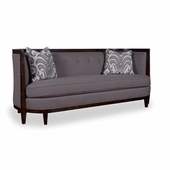 PHOTO SHOWN IN DIFFERENT SIZE (101") CORRECT SIZE IS 84"
ART FURNITURE - BLACK FRIDAY PROMOTION: 30% OFF THROUGH DECEMBER 3RD. 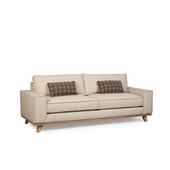 DISCOUNT ALREADY REFLECTED, COUPONS ARE NOT VALID DURING PROMO PERIOD.